Household utensils, 1906. 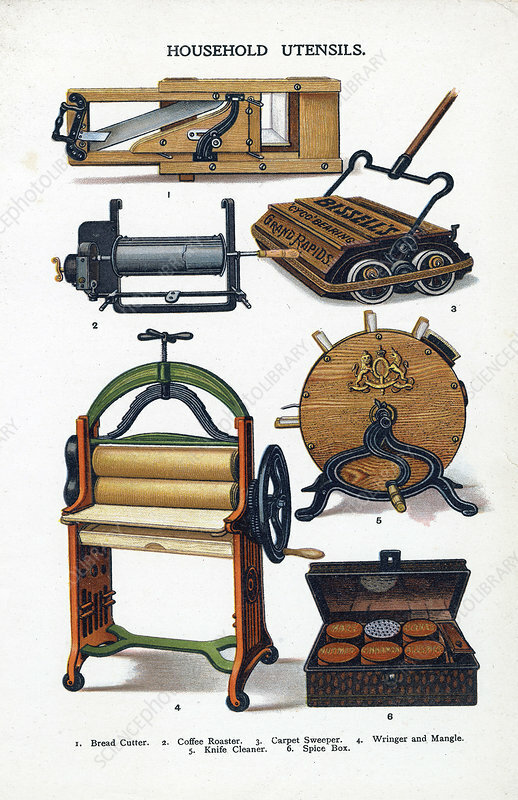 Bread slicer: coffee roaster: Bissell carpet sweeper: mangle: knife sharpener: spice box. From Mrs Beeton's Household Management. The book, first published in 1861, was an outstanding popular success, selling 61,000 copies in its first year.